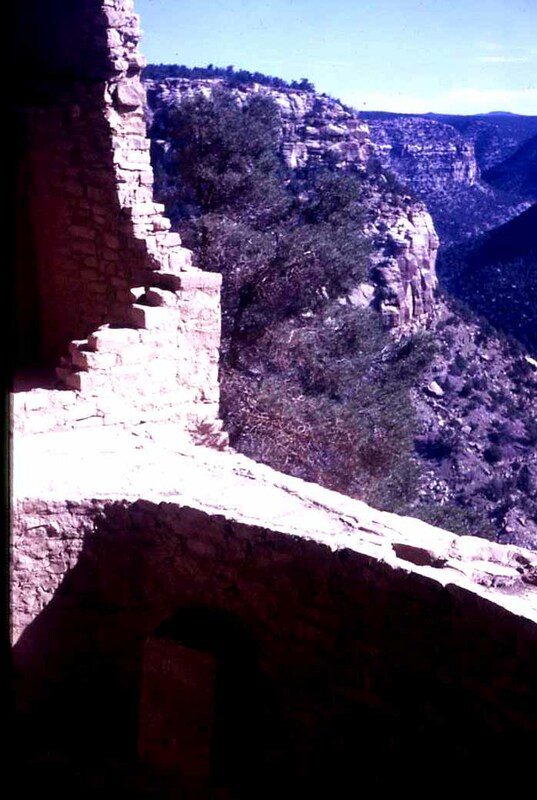 I photographed the ruins of Mesa Verde while travelling in the Southwest during Summer of 1974. Jim Chiles, my best friend in High School, drove his dad's pickup truck as we explored the Southwest. 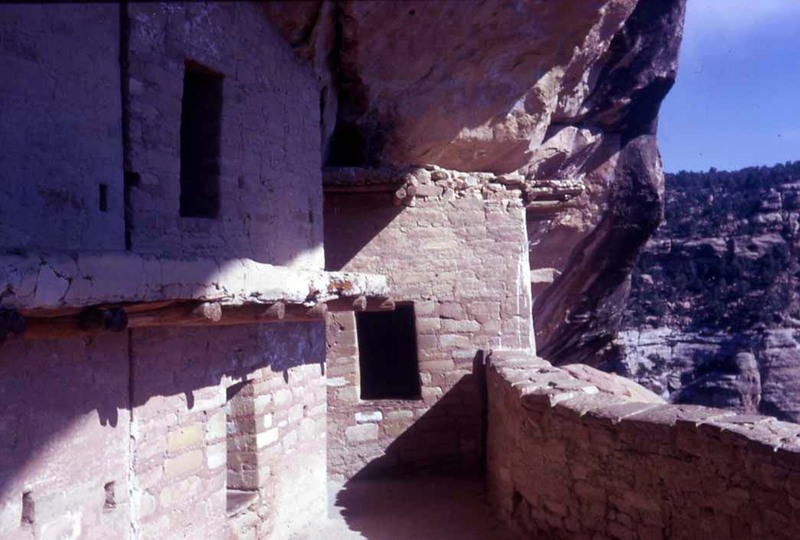 It snowed on us at Mesa Verde and that was the point when our expedition ended. Mesa Verde view of the canyon. 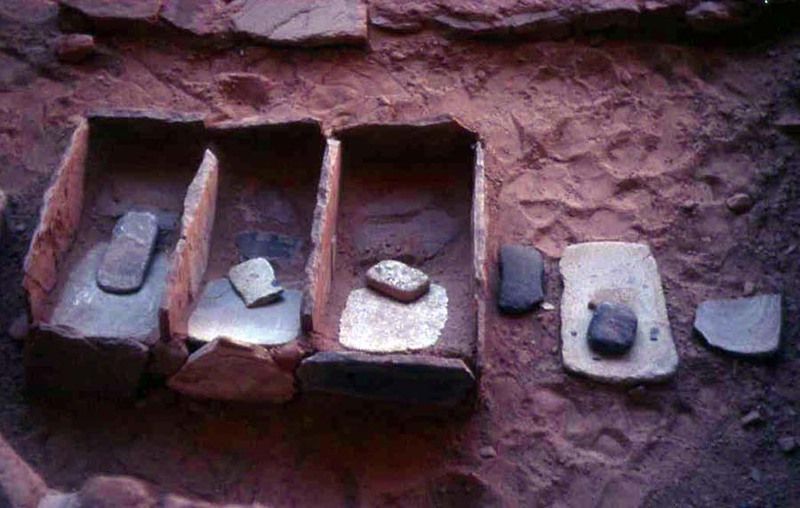 Metates and manos at Mesa Verde.